The National Basketball Association (NBA) announced today that Steven Adams of the Oklahoma City Thunder, former NBA coach Reggie Theus, and the Laker Girls will attend NBA 3X Philippines presented by AXA from July 22-23 at the SM Mall of Asia Music Hall. Registration for NBA 3X Philippines 2017 begins today on a first-come first-serve basis atwww.nba3x.com/philippines and runs until July 14 or until all slots are full. 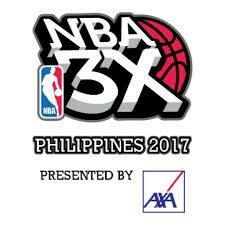 NBA 3X Philippines 2017 will feature a 3-on-3 tournament featuring men’s and women’s teams of all skill levels as well as NBA entertainment throughout the weekend. The 2017 edition of NBA 3X Philippines will begin with a preliminary tournament July 15-16 at Don Bosco Technical Institute Makati that will determine the participants in the finals at the SM Mall of Asia. Additionally, the league will conduct an NBA Cares clinic for 10-14-year-old boys and girls at the indoor court of the Polytechnic University of the Philippines College of Engineering on July 19. The competitive 3-on-3 tournament includes divisions for boys (under-13, under-16, under-18, and open category), girls (under-16 and open category), an invitation only Celebrity Division featuring local personalities, as well as a new division exclusive to AXA employees and distributors. Adams, a 7’0” center from New Zealand, was drafted 12th overall by the Oklahoma City Thunder in the 2013 NBA Draft. He was selected to the NBA All-Rookie Second Team in 2014. During the 2016-17 season, Adams averaged 11.3 points, 7.7 rebounds, and 1 block per game. Theus was drafted 9th overall by the Chicago Bulls in the 1978 NBA Draft and selected to the NBA All-Rookie First Team in 1979. A two-time NBA All-Star, Theus played 13 seasons in the NBA before playing internationally. He was named head coach of Sacramento Kings during the 2007-08 season before becoming an assistant coach for the Minnesota Timberwolves from 2009-2011. He is currently the head coach of Cal State Northridge in the NCAA. NBA 3X Philippines 2017 is presented by AXA Philippines together with official partners CloudFone, Globe At Home and Globe Prepaid, Panasonic, as well as supporting partners SM Mall of Asia and Spalding. Official NBA broadcasters for the event are ABS-CBN Sports and Action, Basketball TV, and NBA Premium TV. All participants in NBA 3X Philippines 2017 will receive an NBA 3X jersey with special prizes for the winners of each division. Registration fees for the age divisions run at Php 1,000 per team, while open divisions run at Php 1,600 pesos per team. For more information on NBA 3X Philippines 2017 and the registration process, log on to www.nba3x.com/philippines and followwww.facebook.com/nba3xasia. For more details on AXA Philippines and their product offerings, visitwww.axa.com.ph and www.facebook.com/AXA.Philippines. For all things NBA, visit www.nba.com and follow the league on Facebook at www.facebook.com/philsnba and Twitter atwww.twitter.com/nba_philippines. The NBA is a global sports and media business built around three professional sports leagues: the National Basketball Association, the Women’s National Basketball Association and the NBA G League. The league has established a major international presence with games and programming in 215 countries and territories in 49 languages, and NBA merchandise for sale in more than 125,000 stores in 100 countries on 6 continents. NBA rosters at the start of the 2016-17 season featured a record 113 international players from 41 countries and territories. NBA Digital’s assets include NBA TV, NBA.com, NBA App and NBA LEAGUE PASS. The NBA has created one of the largest social media communities in the world, with more than 1.3 billion likes and followers globally across all league, team, and player platforms. Through NBA Cares, the league addresses important social issues by working with internationally recognized youth-serving organizations that support education, youth and family development, and health-related causes.